The method of manufacturing VEGEFEUER is a lengthy process. Until today it is handcrafted and bottled in a small manufactory in the Harz Mountains. 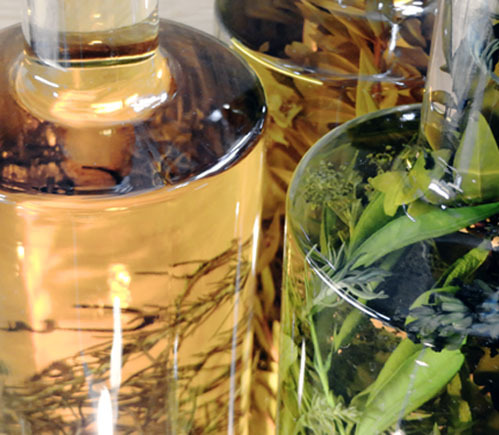 For producing the essences macerates of individual, thoroughly selected ingredients are needed. We keep the independence of the many various plants and herbal components by using a specially developed method. The obtained essences, gently distilled are forming the soul of VEGEFEUER. Exclusively pure spring water from the Harz Mountains is used for our premium liqueur. VEGEFEUER – according to an ancient family recipe. Finally something new, something totally different! Thorsten Wolf managed to enrich the saturated market with a true novelty: VEGEFEUER is not a variation of a known porduct but a clear herbal liqueur with outstanding, complex aromas, particular fine sweetness and punching 55 percent of alcohol.